Cora Tannetti, house wife and mother to a young son, has just been arrested for murder. No one is disputing the fact that she committed the act; all the sunbathers at the beach she was at witnessed her spontaneously jump the guy the next beach blanket over, stabbing him repeatedly with the paring knife she had been using to slice a pear only a minute ago. Lately, Cora has been experiencing some weird flashes of memory, almost like a dream. She isn’t sure where they are coming from, nor what they mean…a blurred vision of someone wearing a balaclava, soft bare skin, odd wallpaper, and flashbacks to her childhood growing up with an ailing sister, and religious parents. The reason for her sudden act of violence eludes her. She doesn’t understand why she did what she did. The police are investigating and discover she knew the victim – a guy from her past, named Frankie – but relationship details about him are out of reach to her, like that month of her life had been completely erased. She has evidence of drug abuse thanks to scars on her arms, but doesn’t recall taking drugs. And there’s that electronic dance music that was playing on the beach that day, the same music the detective on the case, Harry Ambrose, decided to play for Cora the day of her arrest, that triggered her into a dizzied rage, that resulted in her assaulting Ambrose. Although the Police have their woman, and should have an open and shut case of Capital Murder, Ambrose thinks there is more to this than meet the eye, and there ensues quite a deep dive into Cora’s past to discover what these suppressed memories were all about. The Sinner is an 8-part mini-series that originally aired on USA channel, and of this post, there are two episodes left to air on Showcase in Canada. Jessica Biel plays Cora, and let me tell you, it’s been a long time since she was Mary Camden on 7th Heaven! Biel’s flawless performance really makes this show something to see. She is also ageless, and at age 35, is still able to get away with playing a 19-year-old! (Looks like that L’Oreal contract is working in her favor!) A haggard-looking Bill Pullman plays Ambrose, the detective with some personal and disturbing demons himself who tries to navigate Cora through her suppressed memories to get to the truth. I’ll be honest. After the third episode of the Sinner, I felt like something was disingenuous. I understand this is a work of fiction, but still, I’ve watched enough detective shows to know that the number one interest the cops have is finding the person responsible for the crime, and closing the case. Cora’s case almost got to that point until Ambrose cut in. His colleagues at the cop shop, the judge on the case, even Cora asked why he was going to the lengths he was going to find out what happened. He said he didn’t think she did it with malice intent. I hung in despite this shortcoming, and I am glad I did. The show turned out so good – so suspenseful in fact, last night I downloaded the last two episodes to watch them instead of waiting until next week for Showcase to air the next episode. The Sinner twists and turns in areas you will never expect to a satisfying conclusion. Highly recommend! Do you remember where you were the night of June 17, 1994? I remember: I had completed my first year of University, and was home in Sudbury for a visit. My family and I were all hanging out in the rec room of my Mom’s house, trying to stay cool. Following June 12, 1994, news of Nicole Brown Simpson’s murder was fresh, and we became glued to CNN as speculation of O.J. Simpson being a suspect transfixed the world. For me, I didn’t know much about O.J. other than from the Naked Gun films (which was one of my favourite movie franchises at the time). So when we were flipping through the channels around 9 P.M. June 17, and saw the live feed of O.J.’s white Bronco navigating the Los Angeles freeways, we made some popcorn and watched the story unfold before our eyes…which was pretty much what my husband and I did this past weekend when we watched the first two episodes of the People Vs. O.J. Simpson: American Crime Story, airing Tuesday nights at 10 P.M.on FX Canada. True Crime buffs need to get on cuing up their PVRs for this one, if they haven’t already. The show is pretty damn good. The show begins the night of June 12, 1994, when Nicole Brown Simpson and Ron Goldman were found murdered on Brown Simpson’s Brentwood, California estate by a neighbour walking his dog. At the same time, O.J. Simpson is “running late” to catch his limo to LAX where he is due in Chicago. The story runs down the sequence of events as they unfolded in real life: contacting O.J about his ex-wife being murdered., his interrogation, and his wild ride down the LA freeway with his best bud Al Cowlings. All the players of the case are included, such as Kato Kaelin, Johnny Cochran and Robert Shapiro, as well as those on the periphery – Marcia Clark, Lead Prosecutor, and Mark Fuhrman, the infamous lead LAPD detective. The cast of the People Vs. O.J. Simpson: American Crime Story sort of caught me by surprise: Cuba Gooding, Jr as O.J.? Really? Yes, and it worked! Gooding played a whiny angry O.J. to a T. Then, there is John Travolta as a gaunt-faced Robert Shapiro. 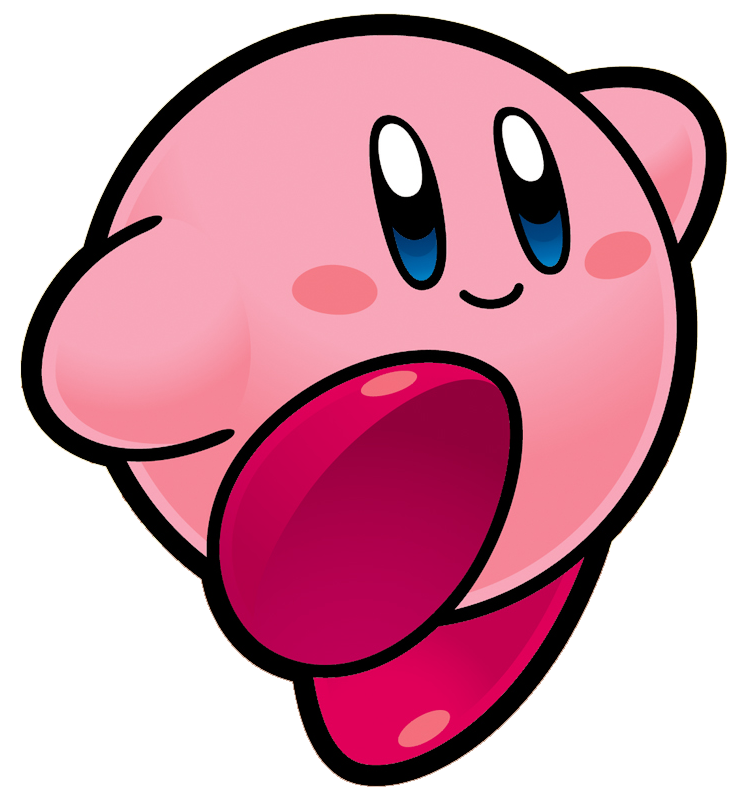 This was a little hard to take at first, only because – well, look at him! He looked like he spent too long baking in the tanning bed. That aside, Travolta plays a decent Shapiro. Of course, there can’t be O.J. without a Kardashian – Robert Kardashian to be exact – O.J.’s confidant, played by David Schwimmer. And, yes, we had a couple of guffaw moments watching as Ross counsels O.J. on how not to look as guilty as sin. About my only real complaint about this show is how it paraded every Kardashian family member in the first two episodes. Khloe, Kim, Kourtney, Kris…were all represented here (I swear, Grandma Kardashian was cast but ended up on the cutting-room floor somehow). Now, I know sometimes T.V. adaptations of real crime stories can get packaged up on the “Sunday Night Movie” Cheez Cart, and true, I did PVR this show initially for the hell of it. But, I couldn’t pull myself away from this story. Be sure to check it out! Anyone remember the TV movie gem, Poison Ivy? I have to say the hot summer weather reminds me of this movie, namely because it is a hi-jinx summer camp movie, and because it was one of those films that seemed to be on TV all the time in the summer when I was a kid. Poison Ivy was a film starring Michael J. Fox, Nancy McKeon and Robert Klein. It aired on NBC TV in 1985, and tells the story of one summer at an all-boys summer camp in Maine and the shenanigans that ensued there. Michael J is a Counsellor who falls for nurse Nancy who is engaged to be married to a real pill. Michael J. spends the movie trying to break up that relationship… Robert Klein is the camp director running the show, and takes his role very seriously. The movie also focuses on the campers, and all the movie character stereotypes are represented – the fat kid who wants to be a comedian, the athlete, the handsome con man, and the homesick Timmy who is misunderstood because he doesn’t know how to swim. Poison Ivy is entertaining…cheesy, of course. And it was one of those films that, at my house, was poorly taped on VHS off of network TV and replayed on an endless loop for a good four months. Why? Because… kids…they like rewatching stuff. It’s been a long time since I watched this film but, a lot of scenes, lines and even music come back to me in a flash. Rewatching this, one would assume by the setting and characters that Poison Ivy is meant for tweens. And in terms of plot and shenanigans, the movie generally does follow that formula, but only up until it reaches the blatant sexual content. Yup, there’s a few sexie tymes in Poison Ivy, which lost ten-year-old me a little but doesn’t blow past me today. For example, Robert Klein’s horny housewife flirting and evidently effing every cook, cleaner, Counsellor and bottlewasher in the joint is truly shocking. Not to mention an 11 year old reading a p0rn0 mag and having another friend turn to him and ask him if he can “do that stuff yet,” to which he responds, “Not yet, but when I can I want to be ready!” Haha, wow. Then, there is the uncomfortable racist game that takes place in the last half of the movie, called Colour War, which pins one half of the camp against the other, assigning colours to each team, placing a military spin on its execution and telling campers not to talk to that kid from the opposing team because of what colour he’s wearing. Yeah, not terribly P.C. There are also some sweet moments that cannot be overlooked. Little Brian Firestone, the consumate nerd of the camp who writes books by hand and fashions beautiful love notes, falls for Nurse Nancy McKeon, going so far as to roll in a poison ivy patch to be treated by her in the infirmery. Another moment was having the other campers teach Timmy how to swim. Not surprising, the entire Poison Ivy is available to watch on YouTube. If you’re up for some cheesy, uncomfortable nostalgia, go check it out. This was originally posted in November 2014. Last week, my friend Bill over at @STCPod, brought to my attention a new TV show that has been airing on HBO Canada, stating that it would be “super up my alley”. The Jinx, a six-part docudrama was his recommendation, and he encouraged me to block time immediately to watch it. Was The Jinx up my alley? Boy, was it ever! Being a true crime buff, not only was it up my alley, it actually resides in my alley, pushing that hobo of everything else crime related aside to make more room for the Jinx‘s time-sucking self. I binge-watched this show, and with its subject in the news just this week, everything is coming up Robert Durst. I have been reading and watching everything on this guy, including every similar late-night news exposé on Durst on competing networks. You’d think I’d be bored to death of this story by now. Not a chance. New York native, Robert Durst, heir to a fortune from his mogul father’s real estate empire, has had a sordid and suspicious history that began with the disappearance of his wife Kathie in 1982, of which he is the prime suspect (she has never been found). In 2001, he was indicted, for the murder and dismemberment of neighbour, Morris Black. Amazingly, Durst was acquitted of all charges on a self-defense plea. As of March 2015, he is up on charges of murder on the 2000 execution-style death of his best friend, Susan Berman. At the time the Jinx was in production, Robert Durst was free as a bird. 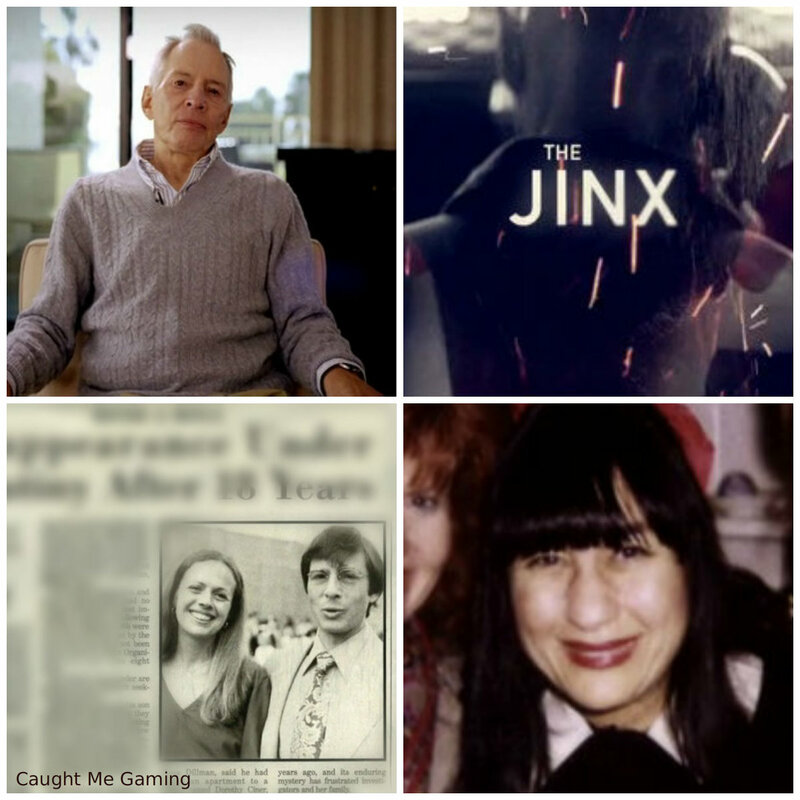 It was after he watched the drama, All Good Things, a movie based on Durst’s life that he called the director of that film, Andrew Jarecki, and offered to be interviewed+ and thus, the Jinx was born. I am familiar with Andrew Jarecki, particularly from his other crime docs, Catfish (which I reviewed here) and Capturing the Friedmans. Robert Durst’s story, when told through Jarecki’s documentary lens, produces one heck of a yarn that gets stranger with every episode. Interviews and reenactments of the tale through acting montages, and a haunting soundtrack which includes the Eels’ “Fresh Blood,” as the title track, the Jinx is definitely a series that is both fascinating and intense. Definitely check it out! * Coles Notes (also known as Cliffs Notes in the U.S.) are student guides to literature, one could buy via Coles Bookstores in Canada. + Yes, you read that right!! Durst actually asked to be interviewed, and might have incriminated himself in the process…can you believe the audacity of this guy? 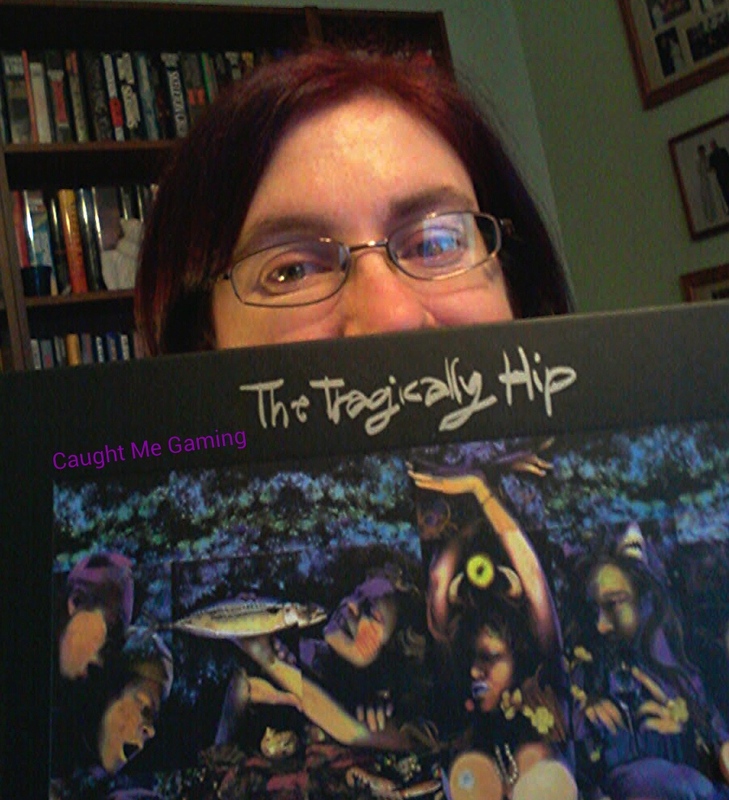 Christmas came early to the house of Sim…my Christmas Amazon order came in today! The hubs and I did something a little different and unconventional this year. We decided to allow ourselves to buy our own Christmas presents. We had a price limit imposed, and we each went to town…virtually-speaking – he on eBay, me on my wish list on Amazon. I know it doesn’t sound very romantic to some people, but the hubs wanted retro video games and knows what he wants and where to get them from…and I knew what I wanted, so there. The holidays can be so stressful, and this is the perfect solution to the spousal gift-giving problem. Seriously, it was perfect for us! And look at all the loot! One little snafu, though. 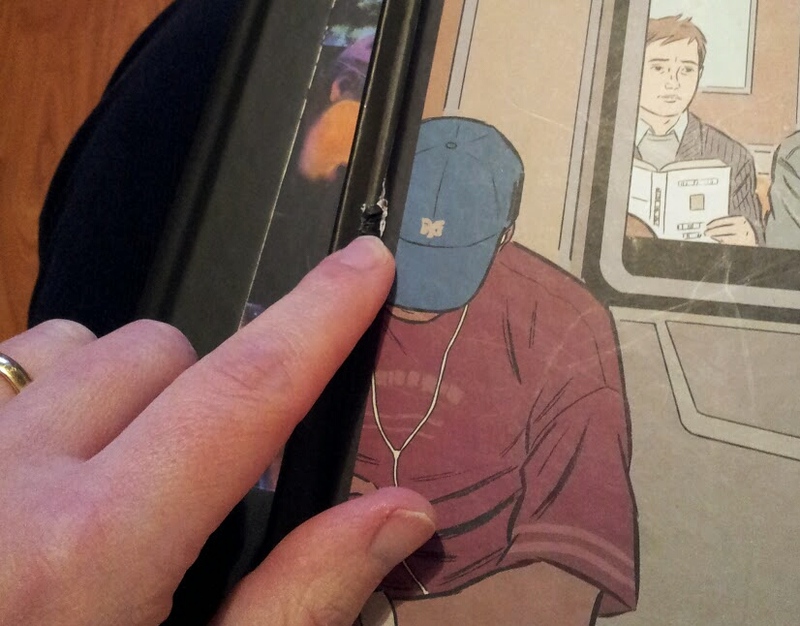 My copy of New York Drawings arrived damaged, so now I get to exchange it. Looks like I have a bit of a procedure to go through with Amazon. Wish me luck on that adventure! Thank you to Brian Z for sending me Ray Lyell’s Desert Winds on CD. It was very nice of him to think of me when he found it. He sent it to me without wanting anything in return. Thank you so much! 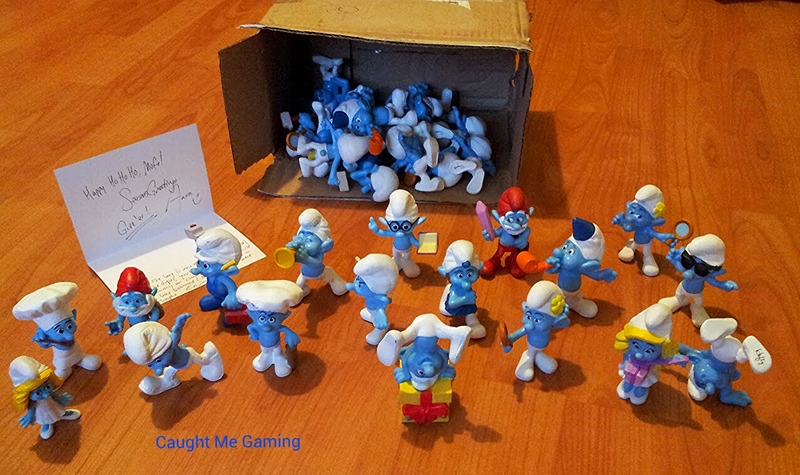 Then, a couple of weeks ago I got a package in the mail – full of smurfs! Aaron from keepsmealive caught wind that I have a smurf figurine collection from the 80s…and found me a whole box full of more smurf figurines! These are Happy Meal Smurfs released to promote the new Smurf movie that came out a few years ago, so they are bigger in size than my vintage smurf figurines. Some of the smurfs Aaron sent are pretty rough looking, and we joked between us how he sent me dirty smurfs, haha! (I’ve since washed some of them). A big thank you to Aaron for this surprising and thoughtful gift. At any rate, I am officially on my Christmas vacation. I will be doing some traveling up to Sudbury and hopefully get to spend some quality time with my Mom, Step-Dad and the rest of my fam whom I haven’t seen in a year. That said, I am going to take much needed time off to recharge and renew for the New Year. To the gamer guys on YouTube: The Cartridge Bros, Ram Vox, Duke and his kidlets from Retro Nonsense, Dean Lasagna, JRock, Lo, and anyone else I missed…Merry Christmas!! See you on Twitter! And to my followers and faithful readers of Caught Me Gaming: Janna, Donna P, Jen, Gretchen, Angie, Bradley, Yvonne and anyone else I missed – thanks for your support. Merry Christmas! See you all soon! Now I’m off to drink some coffee and Baileys!